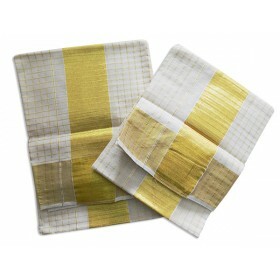 2 pieces of extra length Single Kerala Set Mundu. 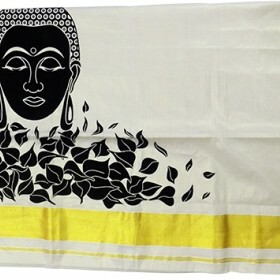 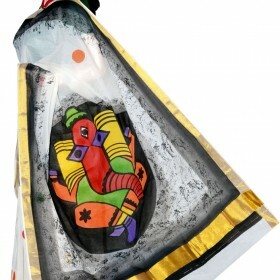 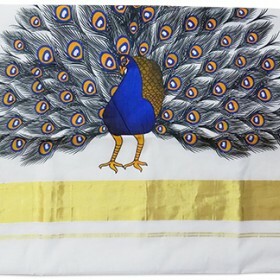 Approximately 2 M length x 1.2 M Width and 2.5 M L..
Kerala kasavu saree with Mural Printing dancing peacock to enrich the beauty of you in all occasions.. 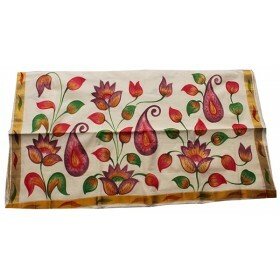 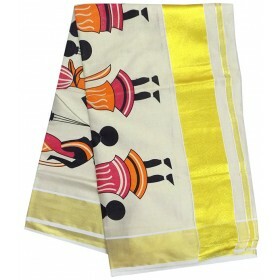 Pure cotton fabric Kerala settu saree with hand painted design is one of the most wanted traditional.. 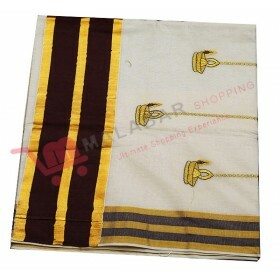 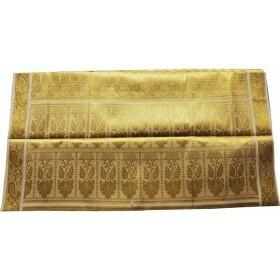 Elegant designed kerala kasavu settu saree with golden and rich hand design black Kalamkar.. 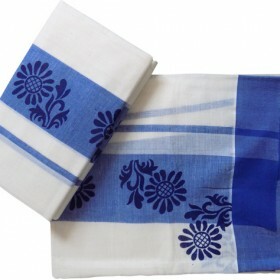 Unique collection for all the traditional occasions and wedding. 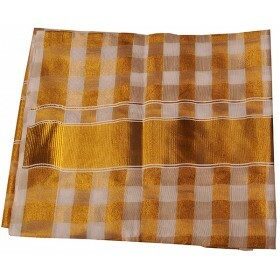 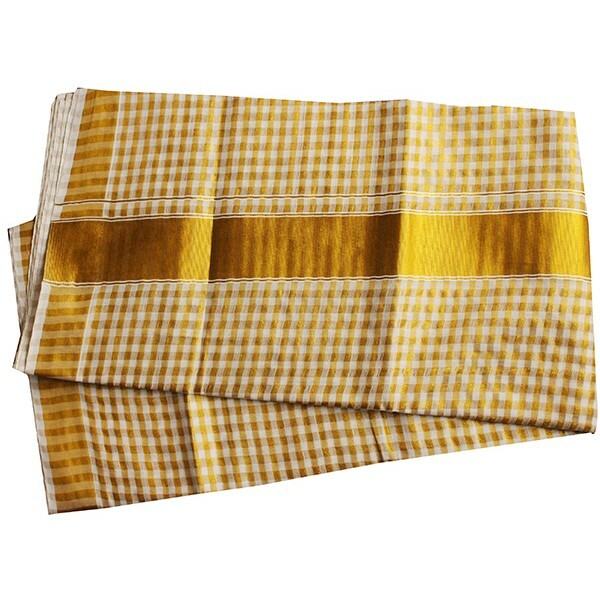 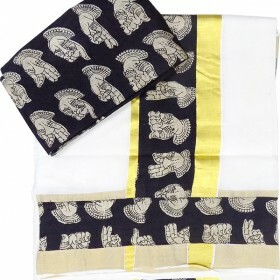 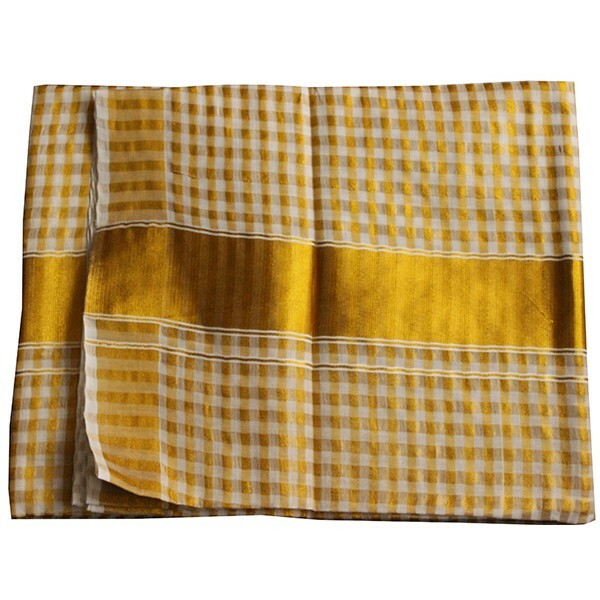 The full tissue check kasavu saree gives the traditional attire. 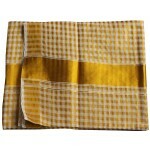 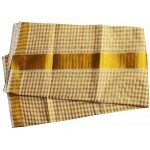 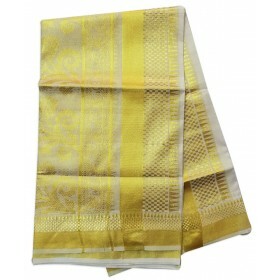 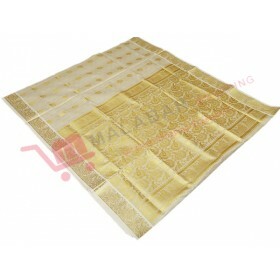 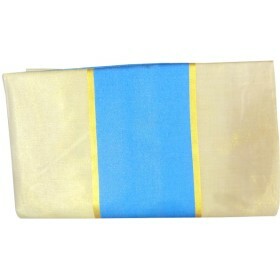 All are select the saree for their wedding and special occassions. 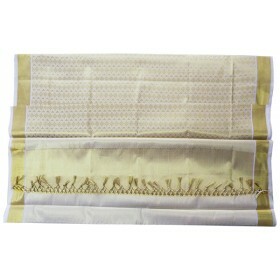 The full tissue check kasavu work is all over the body and the pallu have 2 inch kasavu brocade.